Are you looking to expand your horizons, see new worlds, and experience different ways of thinking? The Film Studies Program brings together faculty and courses from across the College of Arts and Sciences to give you the opportunity to create films, write screenplays, become a film historian, and be a part of today’s most popular art form. If your passion is film, let the Film Studies Program support you on your journey. Film Studies is an interdisciplinary humanities major that explores the vast world of cinema. The major allows students to create hybrid, flexible courses of study, focusing on film theory and history, screenwriting, or production. Whether you want to write movie reviews, teach film literacy, work in a film archive, run a film festival, be a screenwriter, or make movies, the Film Studies major provides you with a pathway through the vast world of cinema. Moving-Image Production is a BA program in live-action and animated filmmaking training students in narrative, documentary, and experimental production. As a competitive and hands-on major, Moving-Image Production will provide you with access to faculty equipment and facilities to develop your skills so that you could become the next Ohio State University alumnus working for Pixar, CBS, or producing your own films. The minor in Film Studies allows students to unite classes devoted to the analysis of cinema both as a unique art form in its own right, and as a medium influenced and shaped by related fields such as literature and the visual arts. Students enrolled in the Film Studies minor will gain an understanding of the evolution of cinema, the relations between film and other arts, and the international dimensions of the medium. Combining theory and practice, the Screenwriting minor prepares students to develop original stories, scripts, and screenplays for production as works of movingimage art. In addition to developing skills for writing for the screen in a variety of forms—fictional narrative film, experimental film, documentary, animation, television, and/or new media—students will garner a foundational understanding of film history and theory and of storytelling conventions across media. Through this indepth study of the art of screenwriting, students will be able to hone their own distinct voices, gaining crucial professional experience for careers in film and television writing. The Master of Arts in Film Studies is a multicultural, international, and interdisciplinary program, which approaches cinema as both art and as international social practice. It will give students substantial advanced training in film analysis, history, and theory, and afford them an opportunity to learn about various film-related disciplines in order to make an informed career choice. 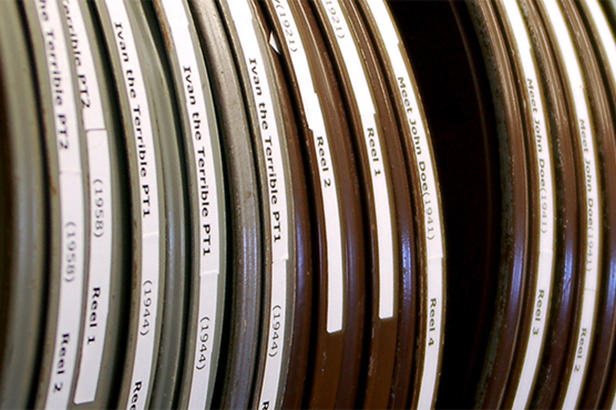 The Film Studies Program administers the Graduate Interdisciplinary Specialization in Film Studies, which is available to students enrolled in post-graduate degree programs in another discipline. It does not currently offer an M.A. or Ph.D.
Angus Fletcher is an award-winning screenwriter and Academy Nicholl Fellowship in Screenwriting recipient who teaches students the skills needed to secure internships and to become professional screenwriters. Linda Mizejewski is the author of the award-winning Pretty/Funny: Women Comedians and Body Politics. She has also served on the board of directors of the Society of Cinema and Media Studies. Combining theory and practice, the Screenwriting Minor prepares students to develop original stories, scripts, and screenplays for production as works of moving-image art.